Creation is one of the greatest witnesses of our Lord. 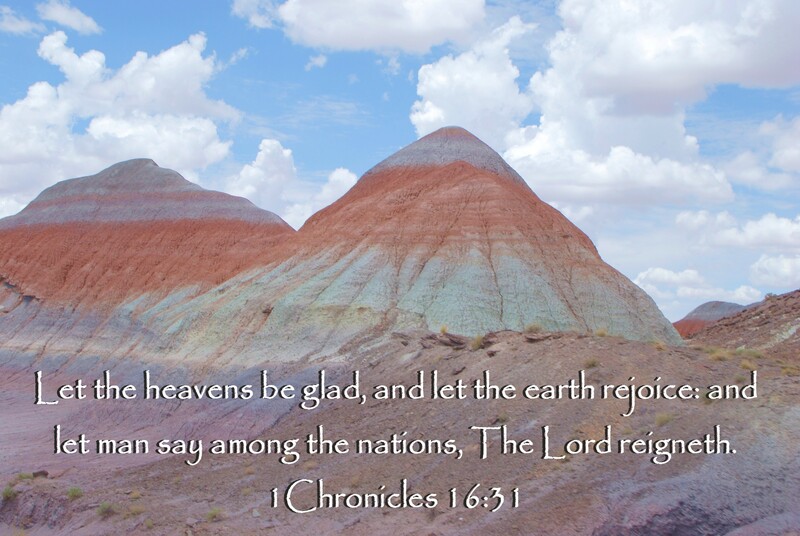 While traveling we visited the Painted Desert in Arizona. I was amazed as usual. I saw the hand of God in that Desert. He speaks to us from that desert sand.. He makes us smile when we walk there, and gives us thrills and excitement with each new discovery. How can anyone doubt our God? In this picture that I took, I see the heavens and they are glad. I see the earth rejoicing as it is painted in all of these beautiful colors. Oh that men would say among the nations, the Lord Reigneth. I have always loved this picture you have taken! It is so majestic! It’s so beautiful how you have always taught me to look at creation through God’s eyes! Previous Previous post: Can God Remember You?